Apple’s launch of the iPhone 8 and iPhone 8 Plus, and their subsequent availability for testing makes a lot of things clear. The big trend in the flagship smartphone world this year, especially in terms of performance is 10nm processors. 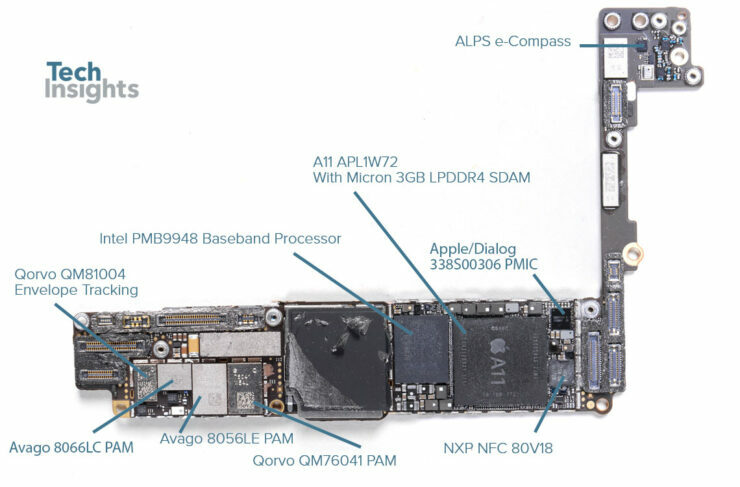 Qualcomm and Samsung have taken full advantage of the process and now its Apple’s turn. Following suit with the iPhone 7/7Plus, the company added two more cores to its A11 Bionic. This takes the core count up to six and allows for all cores to run simultaneously for multi-core compute. 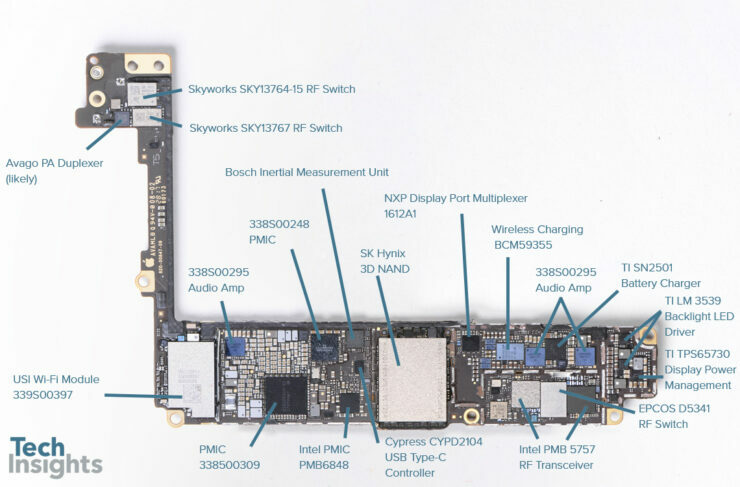 Today, we get into the nitty-gritty of the processor, thanks to folks over at Tech Insights. Take a look below to find out more. 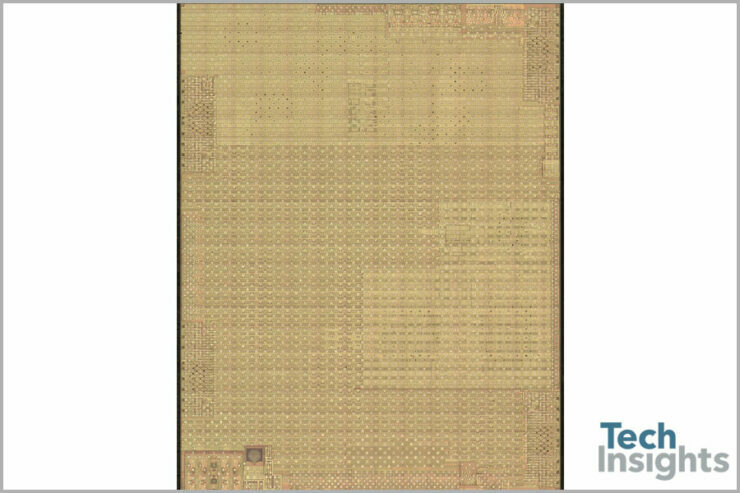 The big question on everyone’s mind right now is whether Apple’s A11 Bionic is manufactured on TSMC’s 10nm node. Right now, we’ve got little concrete information to verify this, save Anandtech. 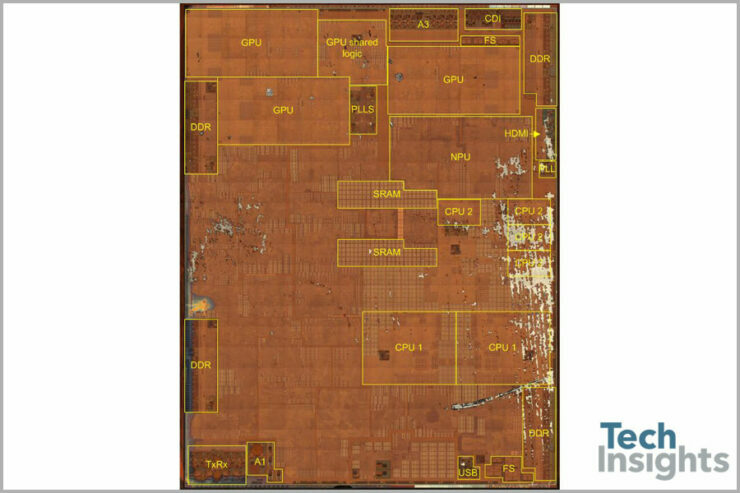 However, Apple has reduced surface area by quite a bit for its latest processor. 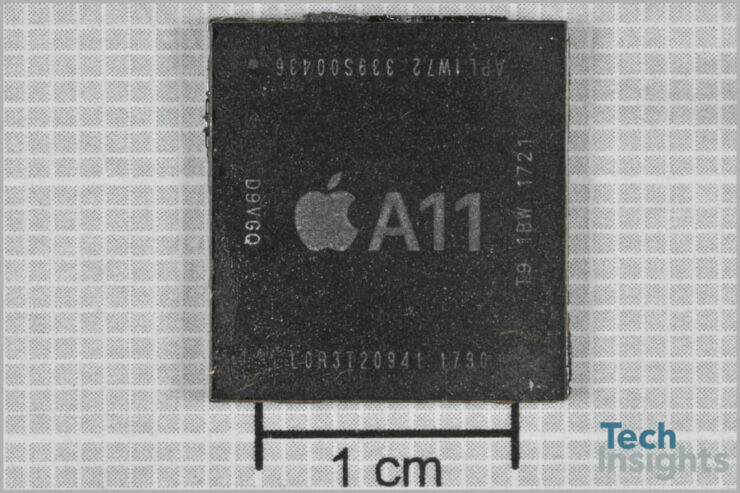 The A11 Bionic’s die size has a surface area of 89.23 mm2. This marks a 30% decrease over its predecessor. Three major components of the Package-on-Package design see a similar reduction in area. CPU1 shrinks by 30%, SDRAM by 40% and GPU by another 40%. 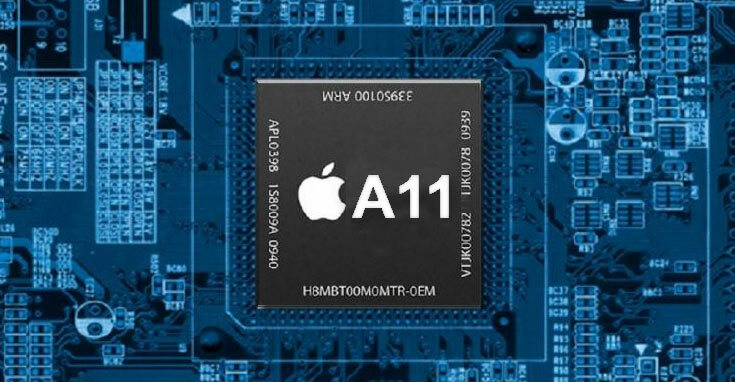 As mentioned above, the A11 Bionic has two more cores when compared to its predecessor. These two low performance cores increase CPU2 area, although exact numbers aren’t specified as of yet. 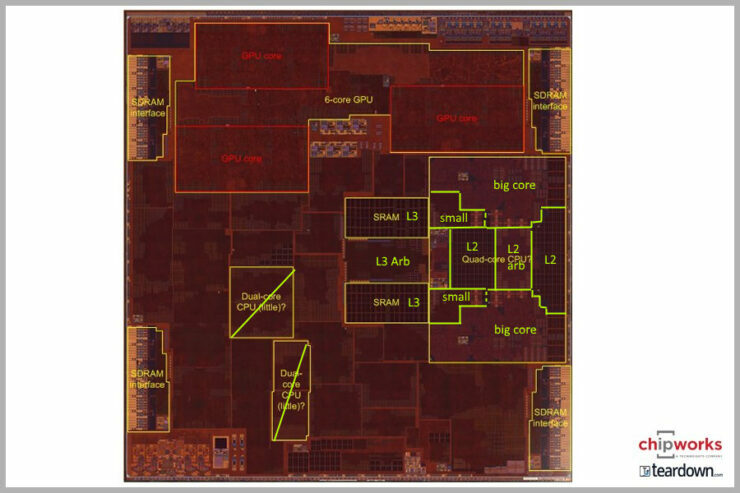 Overall, the GPU for Cupertino’s latest processor takes more area than the CPU. Both the CPUs take about 15% of total area, the GPU takes 20% and SDRAM 8%. A big feature of this year’s iPhone launch as Apples announcement of a ‘Custom, home-made GPU’. Interestingly, the A11’s GPU doesn’t change much over its predecessor. It’s the same six-core design with common logic. It’ll be interesting to see if Imagination Technologies, after its takeover, will pursue any action against Cupertino or not. Overall chip design also remains the same, with similar component placement. We’ve included images of both the A11 and A10’s die design for you to make a comparison. Finally, take note that this analysis isn’t final. Folks over at Tech Insights like to take their time with things, and this is only the latest of their discoveries. Thoughts? Let us know what you think in the comments section below and stay tuned for the latest.